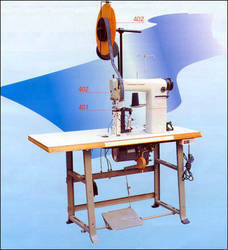 We supply high quality Garment Machines that are known for their efficiency and long working life. 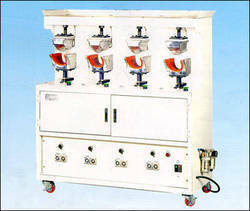 Our Ultrasonic Stone Fixing Machine are procured from the leading manufacturers around the world. These machines are widely used in many fields of napkin, tablecloth, curtain, bed cover, art ornaments, clothes, hair pin and auxiliary materials manufacture owing to its decorative function. 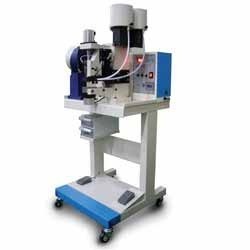 Unmatched quality, high performance and precision work are some of the features of our Ultrasonic Stone Fixing Machine. 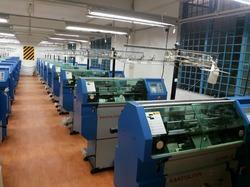 We offer fully automatic Label Cutter enabled with hot, cold and ultrasonic cutter blade. Capable of high speed label functioning, our label cutter machine is equipped with sensors that enable precise cutting and stacking. 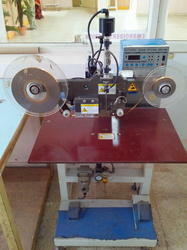 Cold cutter is suitable for nylon, sticker and paper tapes etc. 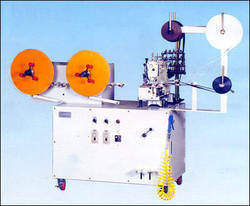 while, hot cutter is mostly used to cut satin and woven tapes. 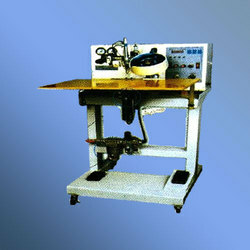 Single head auto sequin hot fixing machine. Different shape and size is possible to fix on textile and garment materials. 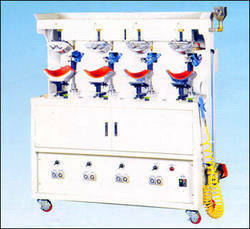 Machine can also be used as a alternation working machine for sequin embroidery machines. Makes flat visors round by heating and pressing. Positioning flat visor on the heated machine mold and pressing. No scissors or manual cutting required. 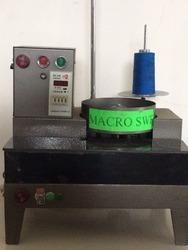 A chain stitching machine producing 2 lines of sweat bands. 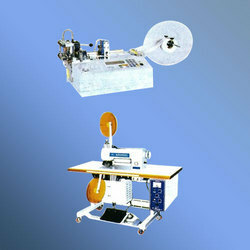 The band rolling can be easily applied to post sewing machine. 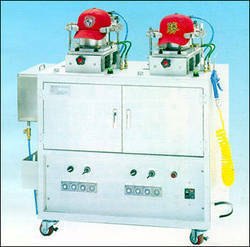 The special cap ironing machine irons out cap pucker by same shaped steamer mold of inner cap. The mold is designed to open easily and to clean stains from steam holes on the mold. It has one more holder with hook backside to pull caps down to perfectly to prevent pucker and sizer burn on crown. Three holders hold down cap from three sides for ironing wrinkled caps after washing. This machine is to press cap front and spray water. 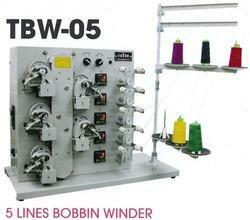 Possible to wind thread in 5 bobbins at a time as you need. It measure length if it reaches set length. 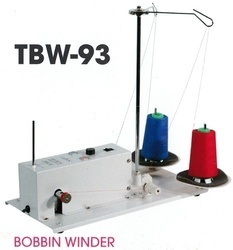 Precise split of embroidery threads to bobbin. New technology for attaching pearls from upper supplying mold. Pearls pins are supplied from lowerside. No need to mark on reverse side of garments anymore. Two colors in a same size can be worked without changing any part. Simple change for other pearl sizes. Precise attaching on an exact point with laser marking light. Convenient working in a clear sight with upper attaching. 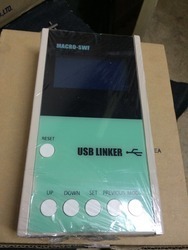 Excellently designed for strong durability and minimum error rate.